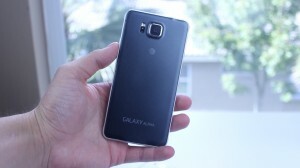 This is the Samsung Galaxy Alpha. 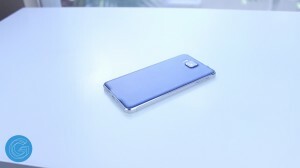 It has an aluminum frame, chamfered edges, and beautiful build. 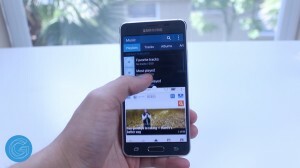 It offers many software similarities to the Galaxy S5, but design wise the Alpha is different . This is the AT&T Galaxy Alpha which means you’ll be covered just about everywhere and it can actually be purchased for only $99 and I’ll be linking there in the description below. In the box you’ll be provided with the standard carrier paperwork along with the quick start guide, and you’ll also get a white micro usb cable and charging port. Design wise I really like the Alpha. 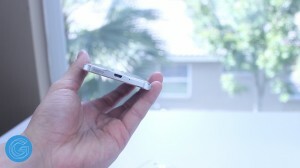 It’s a major step up from the cheap plastic featured on the Galaxy S5 and Note 3. The main addition we have here is this nice aluminum frame which gives the device a new premium feel that Samsung has never delivered before. Because of the inclusion of the chamfered edges and ultra thin profile it’s honestly made me forget this is a Samsung device, because it truly does feel nice. That combined with this moderately 4.7” display makes the Samsung Galaxy Alpha an attractive option for anyone that doesn’t want a phone made for someone with gorilla sized hands. The size of the device makes the Alpha very comfortable to use in the hand and when compared to the iPhone 6 it’s practically identical. That being said the Alpha does feel nicer thanks to its grippy back, but if you want me to compare both of these devices in a separate video feel free to let me know by leaving a comment in the video. Moving onto the display, I was disappointed to see Samsung decided to drop the resolution from 1080p on the Galaxy S5 to 720p here on the Alpha. The good news is that because the display on the Alpha is only 4.7 inches it isn’t quite as noticeable as if the display was larger. 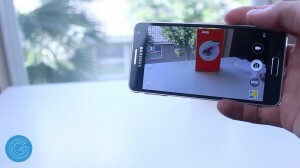 Text certainly isn’t as sharp as on the S5 but video and gaming still looks solid. Performance wise the Galaxy Alpha is no slouch. It features the same Snapdragon 801 processor as on the HTC One (M8) and Galaxy S5. This means it’s going to be ultra quick scrolling through apps, in games, and your whole experience will be fluid and smooth. Even though the Galaxy Alpha doesn’t have the best camera on the market it’s more than good enough for the average consumer. It features a 12MP camera that has a quick auto focus and can take some pretty good shots. For only $99 on a two year contract the Galaxy Alpha is hard to pass up. 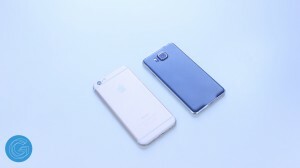 It has a solid build quality, perfect size display, and solid camera. Anyway, I hope you all enjoyed this review, if you did please share and comment!